"This is my business,not a hobby!" Do you have to say this to people often? Join our Guild and help us to show people you are serious about being a Professional Crafter! The Professional Crafters Guild is not responsible for any items or services provided by our members. We are purely an organisation created to promote the business of crafting in general. All details on this site are for informative purposes only. "When you operate in the 'arts & craft' arena, sometimes it's not fully understood that you're running a business and what you do is not just a side-line or hobby for the people who run them. 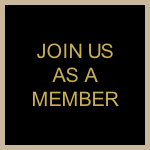 Being a member of the Professional Crafters Guild helps give visibly, credibility and a badge of professionalism to designers, artists and makers. 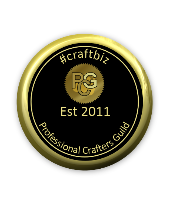 Being a member of the Guild means access to a wealth of experience and knowledge and at such an affordable price becoming a member is a 'no-brainer"
The Professional Crafters Guild was established in 2011 to provide small craft businesses with the recognition that they deserve. Add your unique guild badges to your websites and display your membership certificate on your craft stalls to show the world you mean business! Be part of an international network of Professional Crafters and Small Business owners. "It can be very hard and lonely some days running a business from home on your own but being part of the PCG helps keep me motivated and feel part of a professional community of like minded crafters who are more than happy to help and give support when and wherever needed". Welcome to our Guild Video which gives a little information about us. I will be creating some of these for our fabulous Sapphire Guild Members so do look out for them. If you would like to share this short film I would be overwhelmed by your awesomeness! Lights, Popcorn, GO!